Eric and Rachael have such a sweet love story! 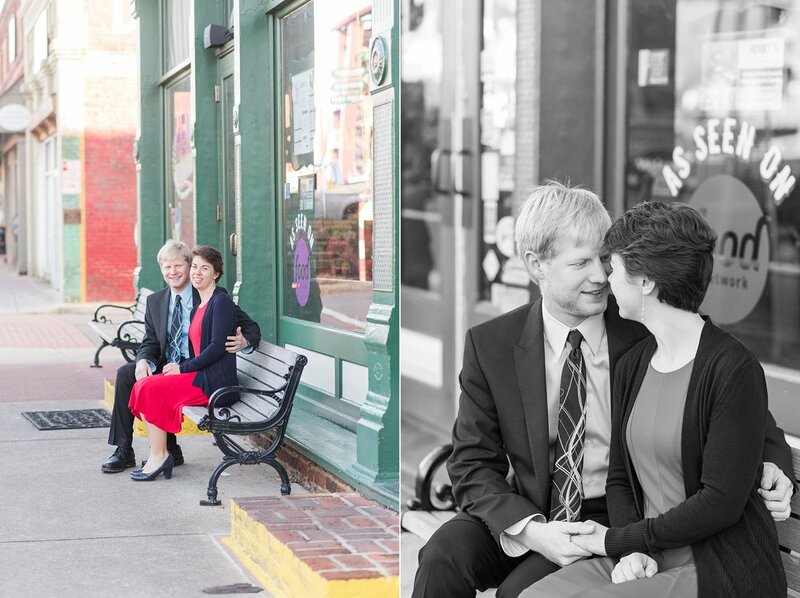 They both met through mutual friends at their church. You could then say that things really started to click when they both went to a New Years Eve party and could not stop talking to each other. In the last few years, their love has grown into something so beautiful! They love taking quiet walks together- in fact, that is how Eric proposed to Rachael! 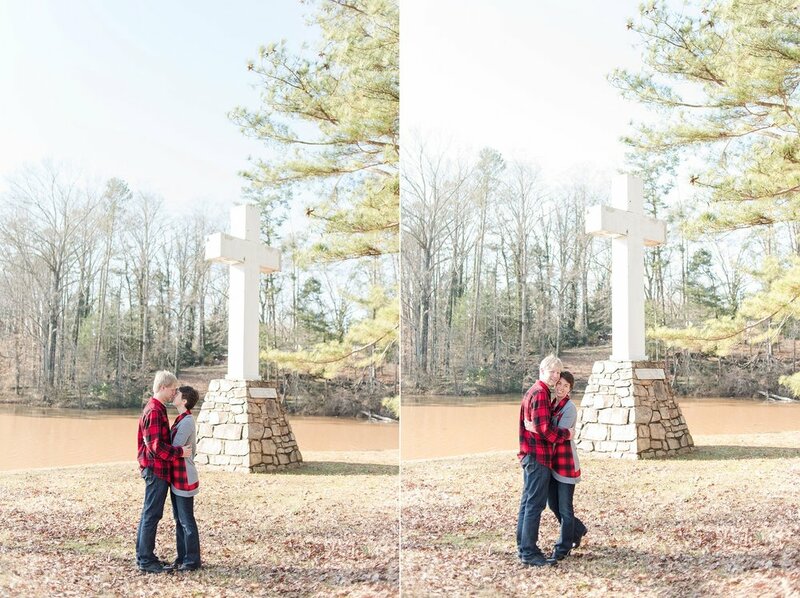 They both were so excited to come back to the exact same place where he popped the question - at the cross at Cauble beach in Acworth. I love that they will always be able to visit this location and reminisce the moment they got engaged. Even with the freezing cold wind this day, Rachael and Eric were such troopers! I think we put new meaning into “cozy up together” which was really like “use your body heat to help each other not freeze”. But they did an amazing job! You can’t even tell how cold it was with the beautiful sunshine. I am so looking forward to these two tying the knot this spring! 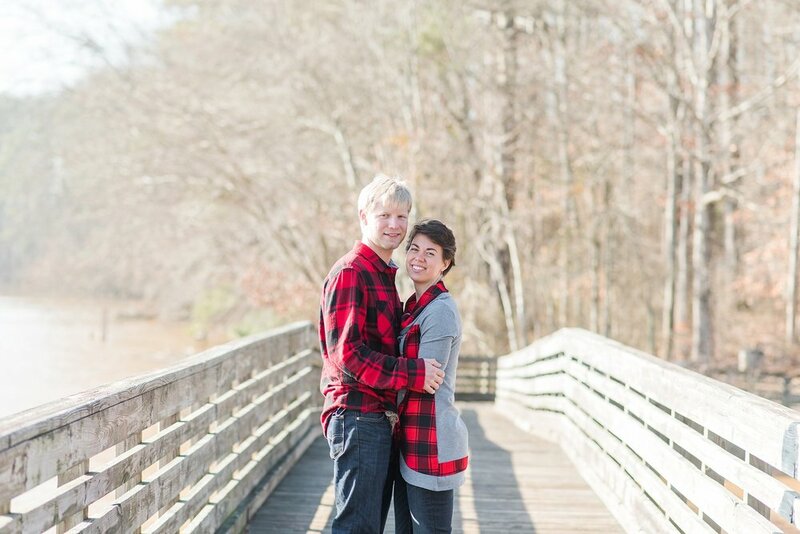 I am sure we will experience some warmer weather and even if not - these two have such warm personalities, nothing can put a damper on the fact that they are getting married! Can’t wait!